Back when we had our home inspection, we found out that our house had a air/light shaft. These were somewhat common in brownstones as a way to provide ventilation and a bit of light to parts of the house that have no windows – a problem when your house is stuck on the house next door, leaving only the front and back for windows. 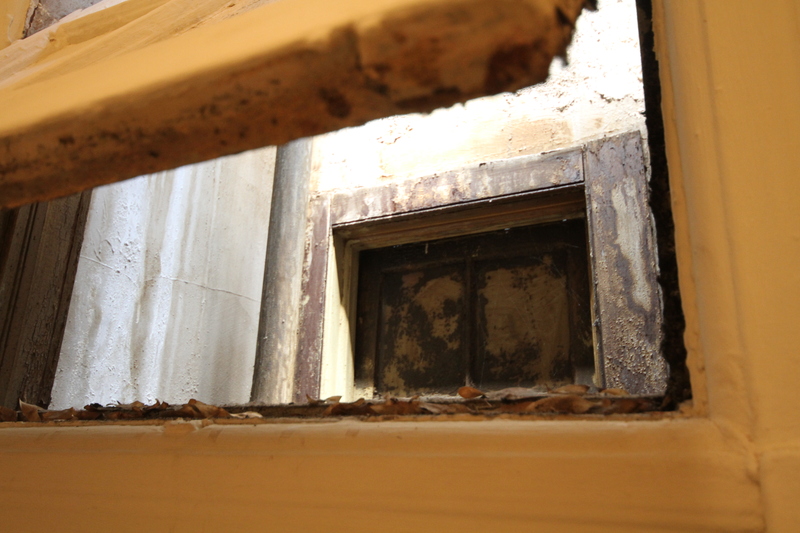 The top floor kitchen and bathroom had windows that were sealed with paint, as did the parlor floor bathroom/closet. Curiosity eventually got the best of us and we pried one of the windows open. The inside of the shaft looked like something out of a movie – doesn’t this look like an abandoned factory where the bad guys are holding the action hero hostage? Clearly, the shaft is going to need a bit of work. But having a source of light and ventilation for our bathrooms is something super awesome, regardless of how scary it looks inside. 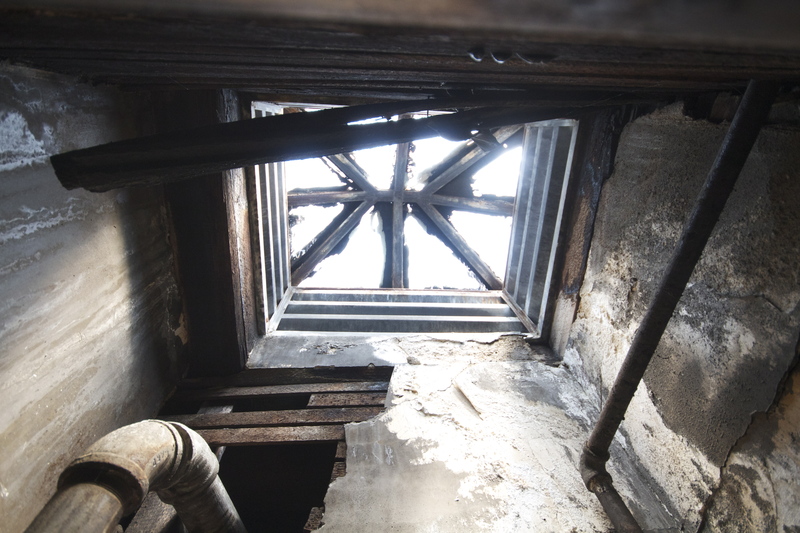 I’m reading A Tree Grows In Brooklyn and I was having a hard time picturing the description the author describes of of the airshaft in the top floor bedrooms(page 130) of the brownstone. So I googled it and found this! Very cool. If you haven’t read this book already it would be so interesting to read about life in and around Brooklyn in the early 20th century. It’s fiction, but it is still fascinating!